Autoimmune diseases affect 30 million women worldwide. Does our emotional health play a role? Curious to learn more about the mind-body connection? Hear from dozens of celebrated health experts at Wellspring, our first-ever wellness expo, October 26–28. Click here for more information. Let’s talk about the mind-body connection. It’s a fascinating topic that’s literally fueled my passion. (I’ve been in clinical practice for nearly 15 years helping my clients reawaken their health through acupuncture, nutrition, supplements and lifestyle shifts.) By the nature of the medicine I practice—alternative medicine, namely Traditional Chinese Medicine—I approach health different than the typical western medical doctor. And, with that, I tend to get very challenging and evasive cases in my clinic, many of which are (often undiagnosed) autoimmune diseases. These cases wind up in my clinic because traditional western medicine can’t seem to treat them effectively. The typical autoimmune patient has been suffering and feeling unwell for too long, has tried many medications and diets and supplements, has seen several doctors and is still looking for answers to why their health is failing. Autoimmune diseases (things like rheumatoid arthritis, celiac sprue, endometriosis, lupus and hashimoto’s thyroiditis) are the result of the body attacking itself, and often come with a host of vague symptoms that can totally confuse those they affect. With the rise of autoimmune diseases—the incidence has tripled over the last 40 years, affecting nearly 30 million women—there is a calling for a better approach to helping those suffering with autoimmunity. But if autoimmunity is the body attacking itself on the cellular level, I think we should also question: where on the emotional level are we attacking ourselves? Plain and simple: your beliefs affect the functioning of the trillions of cells in your body. Yes, really! Take that in. I already touched upon this in the last chapter, but as I know it’s a new way of seeing things, I’ll go over it again. Your thoughts trigger chemical messengers in your brain, which in turn trigger your cells to take action. To really understand how this works, we are going to revisit a concept that we all learned in high school science class: the “fight-or-flight” response. This response is something all animals have, and it is triggered when an animal is faced with a predator, one that may kill or eat it. In this situation, the animal has two choices: to fight the predator or to run away. The animal’s body is flooded with hormones to give it the ability to do one or the other. We human animals have that same response, and it is triggered every day of our life. Let’s say you really messed up at work, like made a really huge mistake. You know you need to tell your boss, and then suddenly you see your boss approaching from down the hall, and your boss looks mad. You think, “OK, I could run away or confront that big scary boss.” Your heart rate elevates, you may start to sweat, and stress hormones in your body kick in, and then you react by either running back to your desk (flight) or standing your ground and confronting your boss (fight). And this was all triggered just by your seeing your boss and thinking a thought. You don’t need to be in a near-death situation for this response to be set off; you need only to be thinking a stressful thought like, “Oh crap, I screwed up at work and I have to deal with it,” or,“The bills keep rolling in and I don’t have enough money in my checking account,” or, “I have zero energy to get through the day, how can I even think about managing my career and my family,” or, “I can’t tolerate going to visit my family because they are just going to ask me, again, what is going on in my life.” You get it. A stressful thought, a belief, creates a chemical cascade in your brain that then triggers the release of hormones in your body, causing your body and its cells to experience fear—to think it’s under attack—and it has to either flee the situation or fight back immediately. Your body hears everything your brain says, and it reacts accordingly. And if your brain is full of a lot of stressful and negative beliefs, your body is in a constant state of fight or flight and is merely trying to survive another attack. Your body, and its trillions of cells, hears everything your brain says. This is both concerning and empowering. Science shows us that negative and worrisome beliefs predispose your body to illness; positive and hopeful beliefs are healing and curative. Medical research on beliefs shows us that your beliefs can be self-fulfilling prophecies. One study showed that 79 percent of medical students report developing symptoms suggestive of the illnesses they are studying because of the intense focus upon the illness. Findings published in the Indian Journal of Psychiatry found that our beliefs and our thoughts are neurotransmitters. 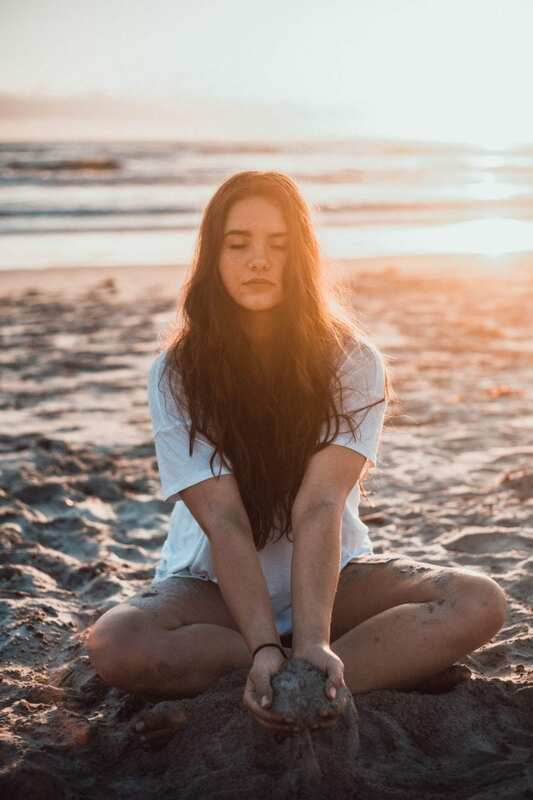 What this means is that our beliefs create chemical messengers in our brain that communicate information throughout our brain and our body, affecting every aspect of our functioning, including our blood pressure, our immune responses, our sleep, and our digestion. Yes. Take that in. Your body hears everything your brain says. In another study, scientists found that “cognitive beliefs could be as potent as pharmacological interventions in terms of modifying biophysical processes in the brain and changing behavior.” This last study is proof of what is known as the placebo effect, which is defined as a beneficial effect produced by a placebo drug or treatment that cannot be attributed to the properties of the placebo itself, and must therefore be due to the patient’s belief in that treatment. Meaning a doctor can give someone a sugar pill and tell them it’s going to heal them, and it does. In other words, your beliefs not only affect your body but also form your body by way of creating and impacting the nerve pathways in your brain. Penny Sarchet, a researcher who has written about the “nocebo” effect (which is when a negative expectation of a certain outcome causes a more negative effect than would otherwise occur), explored how a patient’s belief in their health and their ability to have hope makes a world of difference to that person’s health. Even more, Sarchet stated that what a doctor says and what the patient believes may be more closely tied to the patient’s outcome than what the doctor does physically. Studies on the nocebo effect have found that when patients have fears or a deep doubts about getting better it has negative health consequences. When you think a stressful thought, or have a belief that makes you feel uneasy or upset, your body reacts at the cellular and neurochemical level. The science shows that such worrisome and illness-focused beliefs actually trigger your brain into its fight-or-flight stress response, dumping cortisol and epinephrine into your bloodstream and causing a cascade of events that render your body more predisposed to illness. This scarily suggests that we can actually think ourselves sick. On the other hand, thinking positively about your health, believing something out there can help you, having hope, and feeling worthy of optimal health actually has a positive effect on physiology. Laboratory experiments on humans have found that positive moods reduce stress- related hormones, increase immune function, and promote the speedy recovery of the heart after exertion. A comprehensive review published in the journal Applied Psychology found that positive expectations are associated with better health. The review looked at over 160 medical studies and found consistent evidence that a person’s positive beliefs are a strong influence for the good on their health. In addition, who you surround yourself with affects your health. Science shows that people who have satisfying relationships with family, friends, and their community are happier, have fewer health problems, and live longer. Conversely, a relative lack of social ties is associated with depression and later-life cognitive decline, as well as with increased mortality. Keeping all that in mind, it’s incredibly important to note your thoughts when struggling with a health-related issue. The mental, emotional, and physical are all directly intertwined. Care for one, and care for them all. Want more? Click here to for more information on Aimee’s book, Body Belief: How to Heal Autoimmune Diseases, Radically Shift Your Health, and Love Your Body More. Author, acupuncturist and herbalist Aimee Raupp is a women’s health and fertility expert. Her mission is to educate and inspire women, improve their health, celebrate their beauty, prevent disease as well as increase their fertility. Aimee is the author of Chill Out And Get Healthy (Penguin, 2009) and Yes, You Can Get Pregnant: How to Improve Your Fertility Now & Into Your 40s (Demos Health, June 2014), which was endorsed by Deepak Chopra. 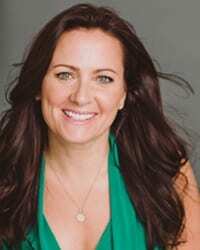 She has served as spokesperson for Culturelle, Whole Foods, lululemon athletica, and the American Leisure Spa Group. She is also a frequent women’s health columnist, active blogger and public speaker. Aimee is in private practice in Manhattan, the Hamptons and Nyack, NY. For additional information, please visit YesICanGetPregnant.com, AimeeRauppBeauty.com and AimeeRaupp.com.